Here we have the Oasis of the 50s and 60s: two brothers who found immediate success, became rock & roll stars, topped the charts, lost momentum, and broke up amid a blur of alcohol, drugs, and smashed guitars. Unlike the Gallagher brothers, however, Phil and Don Everly reunited after a decade of not speaking to one another and found success once again, almost 30 years after their first single. 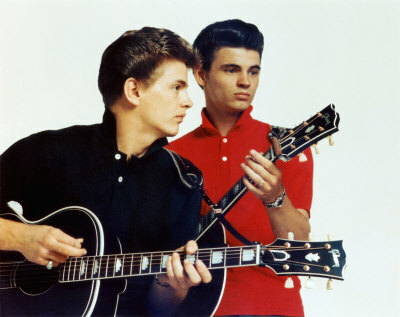 While their rock & roll brethren pounded on pianos and worshiped at the altar of electricity, The Everly Brothers fell closer to the country side of the spectrum, using crisply strummed acoustic guitars and two-part harmony right out of the hills. They recorded a slew of hits in the 50s–written almost entirely by a stable of Nashville songwriters–before leaving their small indie label on the East coast for a bigger indie label on the West coast — Warner Brothers. The Everly’s first single for their new home was “Cathy’s Clown,” a chart-topping, multi-million selling smash which helped save WB from going under (seriously, last breath, sharks circling, darkness) and revived the company enough to grow into a major label. 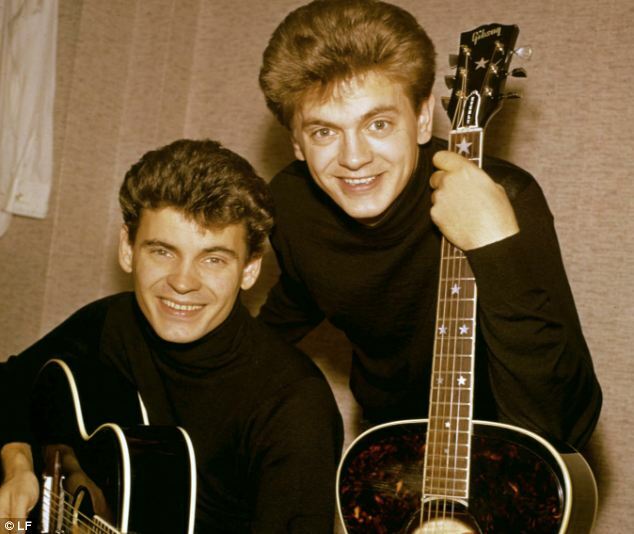 They never hit that high again, but the brothers still charted up until the next wave of rockers (and folk-rockers) took over the scene, many of whom — including Simon & Garfunkel, The Beatles, The Beach Boys, and Neil Young — cited The Everly Brothers as hugely influential. 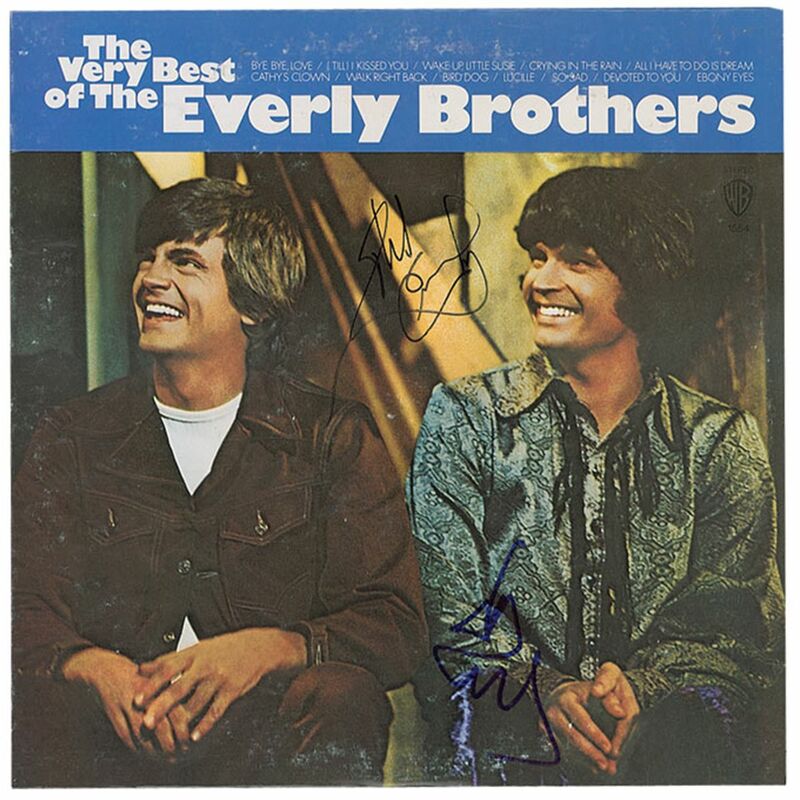 The Very Best of The Everly Brothers Like their contemporaries, The Everly Brothers saved their best material for their singles, so a hits compilation is the way to go. Due to their fantastic vocals, their albums are never less than solid, even during the years after the hits dried up. But these here are the songs with which you sing along. Roots (1968) A country-rock classic from the dawn of the genre. Not too far from what they’d always done, but pushing the country elements even further to the fore. Essential if you’re a fan of Nashville Skyline, later editions of The Byrds, or anything involving Gram Parsons.